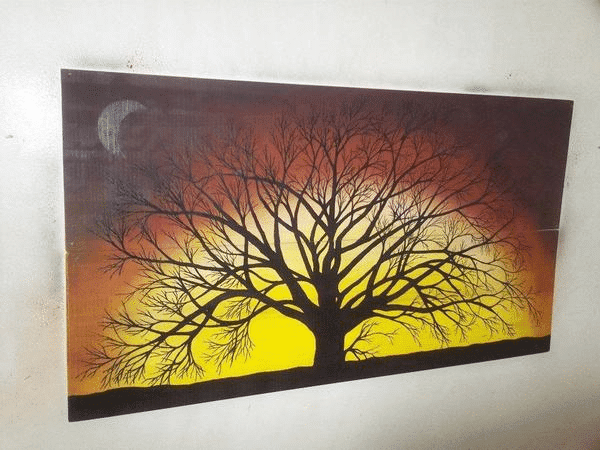 Tree silhouette painted on thin pine panels. Actually 2 pieces, hang on wall together as shown…or separate them. Ready to hang flat on wall.